11000110 FLAGS_TO_OUTBUFFER The FLAGS_TO_OUTBUFFER mnemonic is used to to save the contents of the FLAGS Register in the FLAGS_OUTBUFFER Register. It is used during PUSHF operations (which uses internally the ALU) without changing the original content of the FLAGS Register. 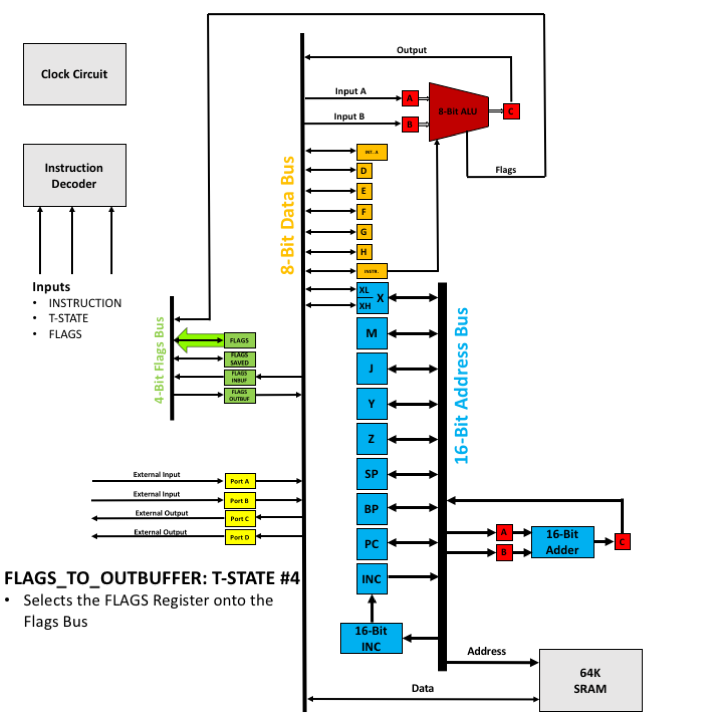 The following animation shows how the FLAGS_TO_OUTBUFFER opcode is executed physically on the CPU.